David Maksymuik, Founding Partner and General Manager of Las Olas Ecuador real estate project, is proud to announce that Jerry L. Pierman has agreed to join Las Olas as a member of the architectural design and construction team for Ceibo Valley Golf Club, a premier par 72 championship golf course currently under construction on the coast of Ecuador as part of the master plan of the Las Olas Ecuador eco-community. “Jerry has been involved in the construction or renovation of some of the best golf courses on the planet like Muirfield Village, PGA National, Glen Abbey and more than 45 others. He worked for Jack Nicklaus for over 10 years as vice-president responsible for construction. With over 35 years of experience in the golf business, he is recognized as one of the best golf course builders in the world. That’s why we wanted him on our team. We are building a world-class golf course on a paradisiac piece of land and we are sure that Jerry will help us making it fabulous for our members and visitors”, said Maksymuik. Ceibo Valley Golf Club was designed to be a championship golf course from the start, with the goal to be very challenging for the seasoned golfers, yet playable for beginner, and spectacular for every lucky golfer who will have the chance to play it. The course will boost 8 sets of tee boxes ranging from 7,800 yards from the championship tees to 3,200 yards for the shortest hitters. “Ceibo Valley golf course was already special on plans, but the first time I visited the Las Olas property and start walking the golf course routing, I realized how special this place is and wanted to be part of such a spectacular project”, added Jerry L. Pierman. The golf course will be at the heart of a 1,650-acres major sustainable real estate project along the coast of Ecuador, where 80% of the land will remain green spaces. With ocean view on 12 of the 18 holes, and the 15th green sitting directly on the beach, playing Ceibo Valley Golf Club will truly be an amazing experience in itself. Located in a dry tropical forest, the area benefit from one of the nicest climates on the planet where it’s never too cold or too hot to play. 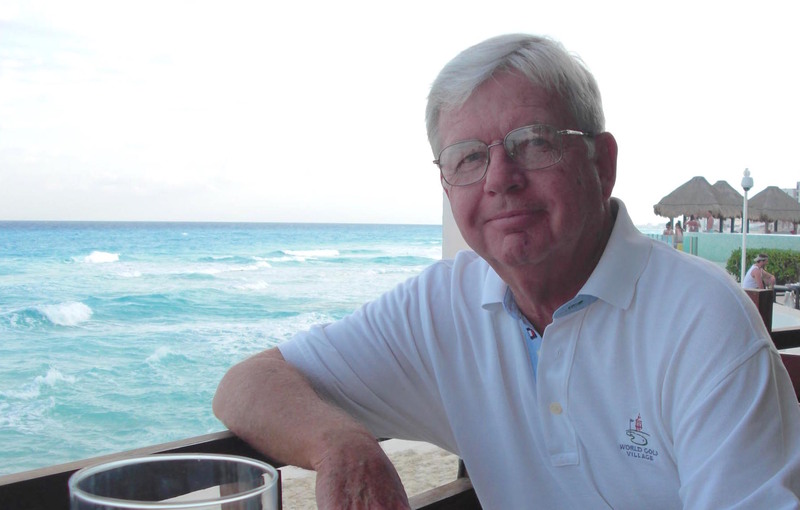 Jerry Pierman is a Charter Member and past President of the Golf Course Builders of America. He was associated with Golden Bear Inc. for 10 years and as Vice President he oversaw the company’s operations including the golf course design and construction company Golforce, Inc. He then formed Pierman Golf Company to build golf courses for designers Nicklaus, Art Hills, Keith Foster, Ron Garl and others. Pierman graduated from the Defiance College and studied Botany and Agronomy at Ohio State University. Ceibo Valley Golf Club is part of the Las Olas Ecuador master-planned community. Located on the shore of the Pacific Ocean, Las Olas is a major real estate project in Ecuador, with the planned construction of 1,621 houses and condominium. On top of its Ceibo Valley championship golf club, Las Olas will boost a beach club with spa, a 650-acre private nature reserve, an equestrian center, up to 16 tennis and pickleball courts, multiple fitness facilities, shops & restaurants, a health clinic and much more.